Dr. Chikly is the founder of the Chinkly Institute, a non-profit research and training institute in Florida offering courses in Lymph Drainage Therapy, Brain Curriculum and Heart Centered Therapy. Bruno Chikly, MD, DO, is a graduate of the Medical School at Saint Antoine Hospital in France, where his internship in general medicine included training in endocrinology, surgery, neurology and psychiatry. Dr. Chikly also earned the United States equivalent of a master’s degree in psychology from Paris XIII University, France. His doctoral thesis, which addressed the lymphatic system, its historical evolution and the manual lymphatic drainage technique, was awarded a Medal of Medical Faculty of Paris VI, a prestigious acknowledgment for in-depth work and scientific presentation. He extensively studied osteopathic techniques and other hands-on modalities, both in Europe and the United States, including Manual Lymphatic Therapies, Osteopathy in the Cranial field, Biodynamics program in Osteopathy, CranioSacral Therapy, Visceral Manipulation, Mechanical Link, Muscle Energy, Myofascial Release, Neuromuscular Therapy, SomatoEmotional Release, Orthobionomy, Chi Nei Tsang, Zero Balancing, Reflexology, Polarity Therapy, Homeopathy and Oriental medicines. He is also a long-time practitioner of Aikido and Chi Qong. Lymph Drainage Therapy workshops have been taught in Belgium, Brazil, Canada, China, France, Germany, Israel, Italy, Russia, Singapore, Switzerland, Tunisia, UK, and the United States. Dr. Chikly is a member of the International Society of Lymphology (ISL) and an associate member of the American Academy of Osteopathy (AAO), the Cranial Academy and a licensed massage therapist from Arizona, USA. He was Adjunct Professor of the Union Institute and University Graduate College (University of Ohio), he is listed in the millennium edition of Marquis’ Who’s Who in the World and will receive a PhD in Osteopathy from the University of Brussels (2010). In his definitive text, “Silent Waves: Theory and Practice of Lymph Drainage Therapy, ” 2nd Edition, Dr. Chikly addresses the applications for lymphedema, chronic pain and inflammation. 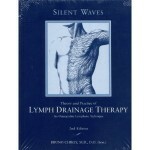 “Silent Waves” is carried by Stanford University Medical Library and is the first comprehensive book on the lymphatic system and lymphedema in North America. Dr. Chikly, is an international seminar leader, lecturer and writer. He has spoken to most North American professional medical and health-related groups and to many lymphedema support groups. He lives in Arizona with is wife and teaching partner Alaya Chikly, LMT. She is curriculum director of Heart Centered Therapy (HCT). No one has posted to Bruno's wire yet.